Today I’m starting a new series of musical devotions. These are songs that speak to me, and I hope they will encourage you. 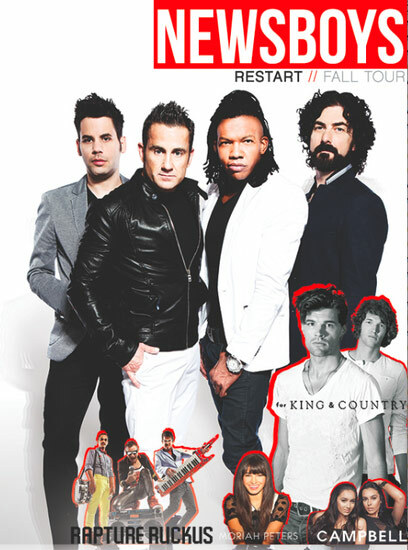 My husband surprised us with tickets to the Newsboys concert. I enjoy their music, and although we were aware that it would be very loud (we brought earplugs), we were excited to go. Indeed they were good, but the group that made a lasting impression on me was a different group…..for King and Country. I’ve heard several of their songs on K-LOVE radio, but because radio time is usually in the car and there is conversation going and traffic to watch, I hadn’t registered who sang these songs, and the lyrics hadn’t hit home. But from the first rat-a-tat of sling snare and boom of bass drums (actually before that from looking at their set up….chimes, drums (many, many drums), bells, cymbals, trumpet, cello, mellophone….music geek paradise! ), they captured my attention….and directed it to the Great I AM. Today I am going to explore “The Proof of Your Love”. Here’s their official music video, which took a much darker look at the lyrics than I will. The line that finally registered in my brain at the concert, and that I want to talk about today is this one: Love is sacrifice. In the video, they show noble, dramatic, break-out-of-your-shell love and sacrifice. It seems easy and right yet impossibly hard at the same time, and like what Jesus did for us. But what does this look like in our everyday life? Moms, you know a lot about sacrificial love. Sometimes it seems you are sacrificing your whole life on laundry and cooking and kissing boo-boos and reading the same book for the ten billionth time. As they get older, it becomes activities, and perhaps homeschool. Sometimes you do it in love, but often it becomes drudgery, especially when it seems that no one is thankful for what you do, and it never seems to stop. You have a clean home, healthy children; but without love it is all a banging gong….making you empty, bitter, poor in spirit. Indeed, taking up this cross of motherhood each day, and making the sacrifice can be love with the right heart, His heart. Insert here the standard ‘read your Bible, pray, journal, ask for His heart of loving kindness and patience, do all things as if you are doing them for Jesus’. When they (and, admit it, we) understand this concept, the huge sacrifice Christ made for us is easily seen as love, and that we should not only be grateful for what He has done, but that we should follow His example and show love to others. Love that costs you something, a living sacrifice.